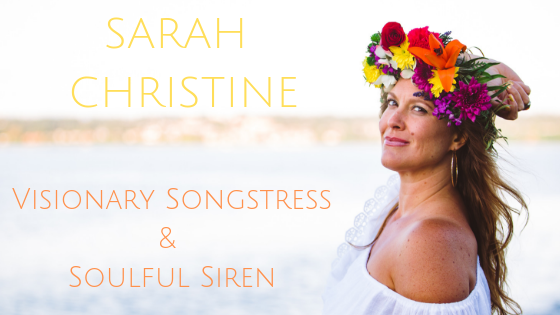 February 18, 2017 sarahchristinemusicLeave a Comment on Have you heard the latest single yet? Have you heard the latest single yet? 100% of the proceeds from the sale of WE ARE ONE will be donated to an organization called the Unstoppable Foundation. This foundation is working to eradicate poverty in Kenya, Liberia an Uganda through education, access to clean water and sanitation, health care, nutrition and job skills training for the adults of the communities. They work within villages one at a time, implementing these basic pillars and creating sustainable solutions so villagers can ultimately rise out of poverty and build better futures for generations to come. Your purchase of the song will translate into a direct donation, plus you will get an amazing song to listen to! With so many people in need and thousands of causes that could use support, WHY the Unstoppable Foundation? I chose this particular organization because it encompasses so many of my core values into its mission and methods. I am very passionate about personal empowerment and believe that education, human rights, sustainability, health, wellness, clean water and food is an essential foundation in which to build a life of independence, strength and freedom upon. Last Spring when I was on tour in Hawaii I had this very special song come through while on the beach in Maui. It was one of those very potent and rare moments where it feels as though there is this song just spiraling around me and my only job is to be present and receive it. Not only did WE ARE ONE seek me out, it was delivered with what felt like very clear instructions to use it as a platform to raise awareness and money for causes beyond music. I believe that music alone has the power to impact and uplift peoples lives, but the more I realized how many people in the world are suffering from a lack of basic human necessities….I knew I needed to do more. There is no question that many people in the world are in need, and I feel that as a privileged woman I have a responsibility to do something impactful to contribute to the healing of this planet. Thank you for supporting this musical mission!!! Though it may seem like a small drop in the bucket, even the smallest drop can create a ripple!! !